Set within 20 acres of land and overlooking two Lochs to each side, the hotel boasts magnificent views of the surrounding countryside and local 9 hole golf course. Lochside House Hotel is ideally situated for people wishing to tour Ayrshire and the outlying districts. The hotel was taken over in 1999 by Robert and Vivien Kyle and was extensively extended and refurbished to achieve a Four star rating from the Scottish Tourist Board. 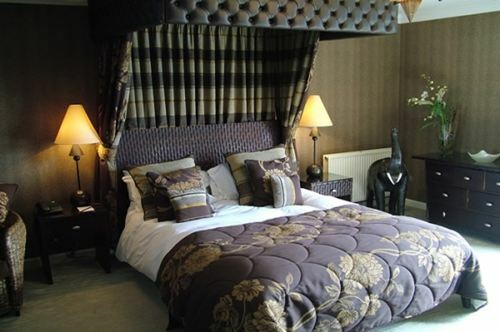 The Hotel has two suites, The Lowes and The Creoch, with a further fifteen single, double or twin rooms. In addition, we also have three luxury cottages on the grounds with en-suite facilities and living room. Our Cottages are the perfect choice whether on a business trip or travelling with the family. There is space aplenty to work, rest and play! Tastefully renovated and decorated you can be sure you will feel relaxed and rested after your stay. 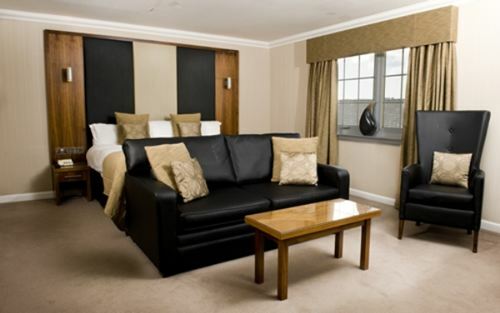 All standard and double rooms have been completely refurbished and are furnished to a high standard. 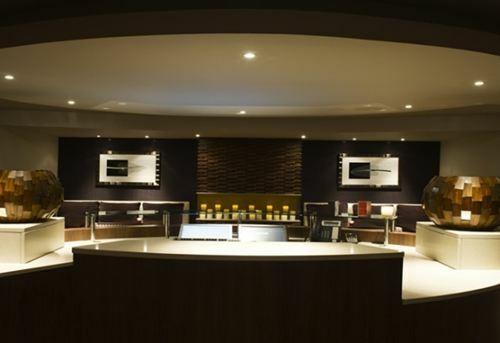 All rooms have an En-suite with shower and bath facilities, Colour TV, Telephone and Tea making facilities. The Executive room comes with a choice of twin beds or a queen sized bed. 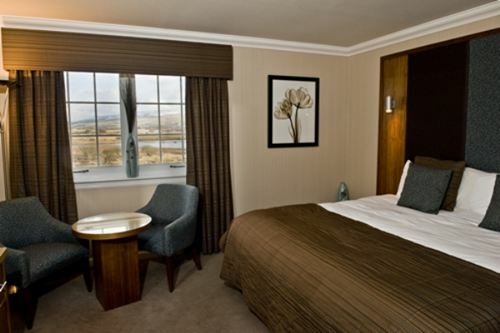 Every Executive room in the hotel has a view over the loch. All rooms have an En-suite with shower and bath facilities, Colour TV, Telephone and Tea making facilities. 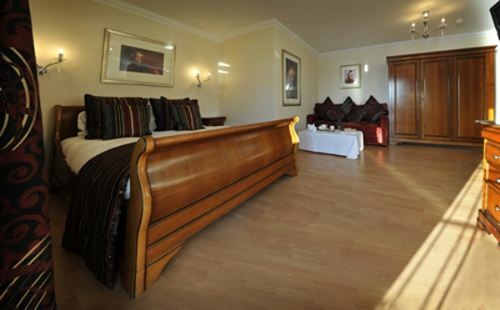 The Creoch Suite has a traditional bath and shower and a balcony overlooking the Loch of the Lowes and the Afton hills. There is a luxurious couch to relax on and a bureau should you require to catch up with your correspondance. When night finally falls there is a king size bed to retire to. Decorated in an African theme the Lowes suite has a walk-in double shower and large jacuzzi bath. Full length glass doors open out onto a small balcony overlooking the Loch of the Lowes and the Afton hills. 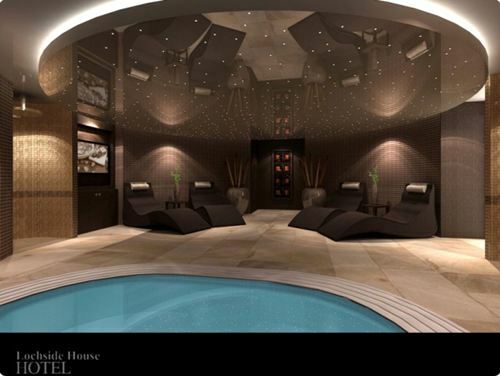 A brand new modern spa facility which will be open for Christmas 2011 featuring a wide range of spa treatments and packages. A world of pure indulgence and relaxation where you can leave behind the pressures of everyday and unwind in luxurious surroundings. Information regarding this new facility will be available from September 2011.